With the modern home design that trends these days, various styles are being created by architects and engineers. 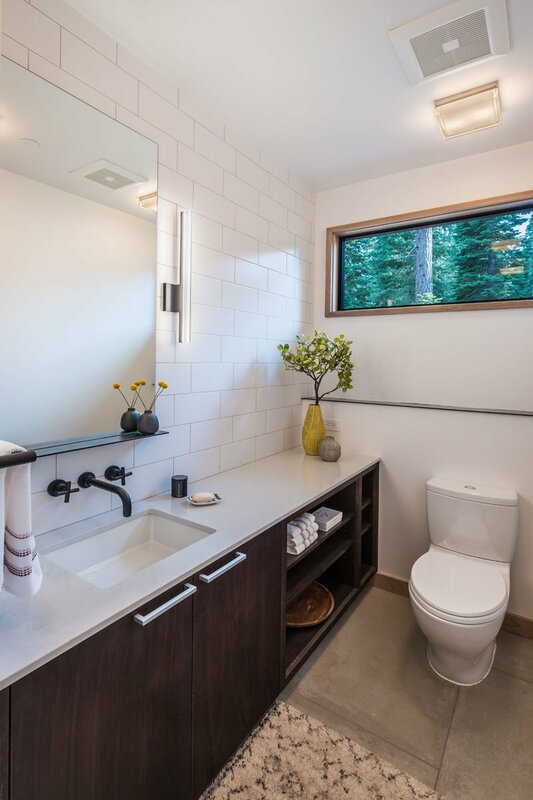 The design of a modern home would vary depending on the lot area as well as the requirements of the homeowners. Another thing that also varies is the materials being used for the exterior and the interior of the house. For sure, you have seen many modern homes already and we have to admit that most of them have an impressive design. 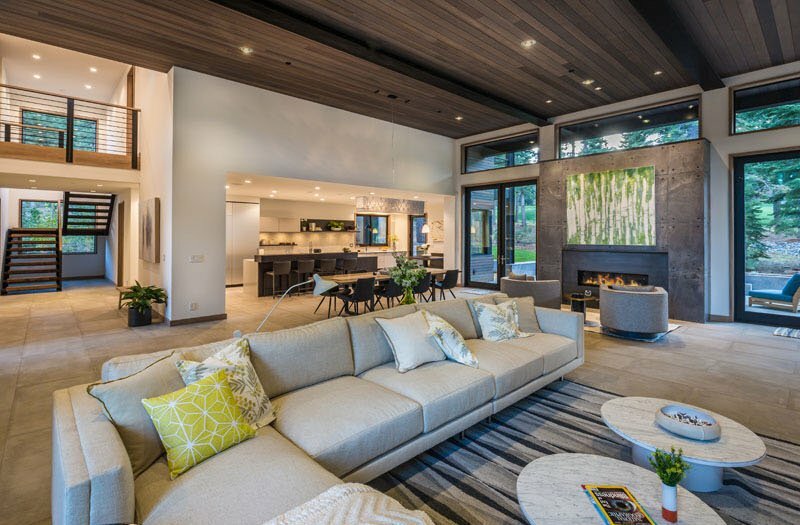 Today, we will feature another modern home that you will no doubt love. 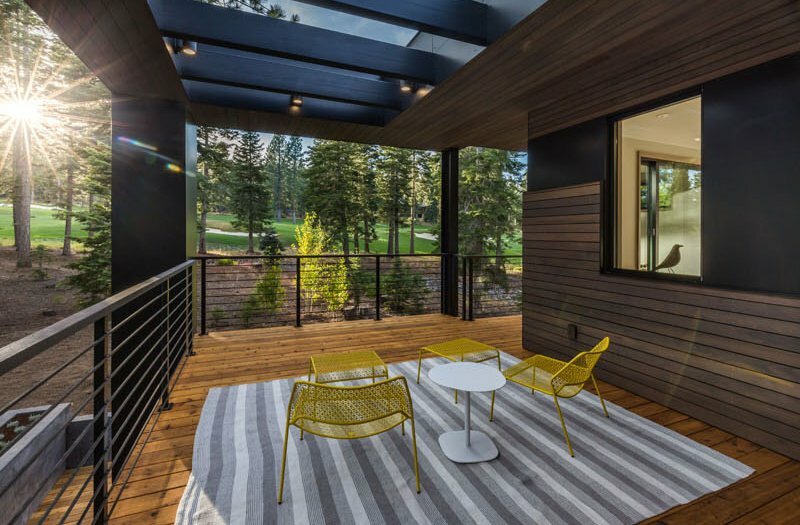 This modern home is designed by Sage Modern which is nestled between the trees alongside a golf course in Truckee, California. 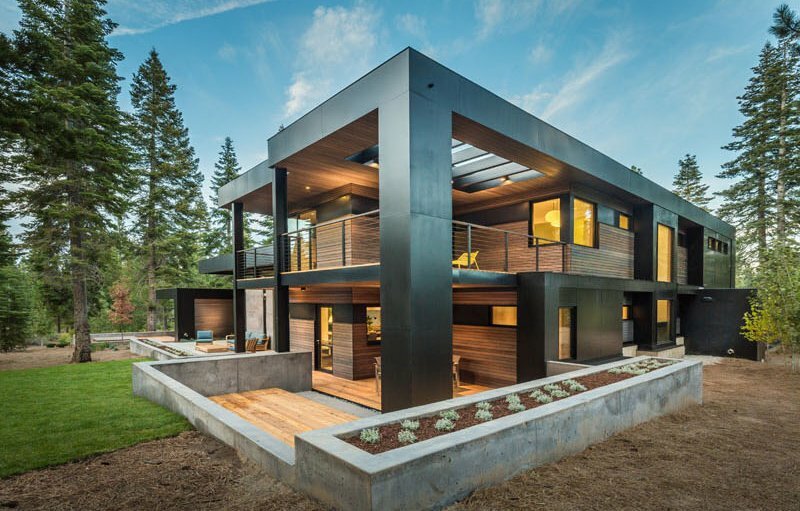 The home’s exterior has a combination of wood and black which resulted into a beautiful structure. The layout of the home is also impressive especially when outdoor spaces were added to it. Well, apart from its modern look, what made the house more appealing is its location as it sits with the trees. We can see more of the house in the images below. Unique feature: A house nestled between the trees featuring a modern contemporary design with a black exterior. The home is designed in a secluded and relaxing environment which is perfect for a family. It has plenty of outdoor space as you can see in the picture. 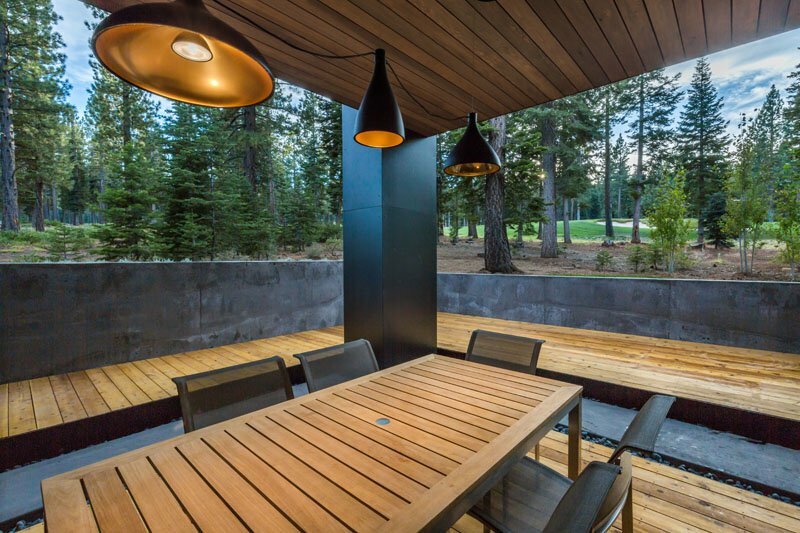 It combines wood with black elements resulting into a dramatic color palette. Seen here is another side of the house which is as appealing as the facade. Notice that concrete planter with lovely plants on it. But it isn’t just the exterior that looks beautiful. Even the interior is a stunner too. Note that the kitchen and dining areas are just located near the living space. Although the kitchen is defined by the walls, it doesn’t look small. And the living space has an interesting mix of plains and patterns. 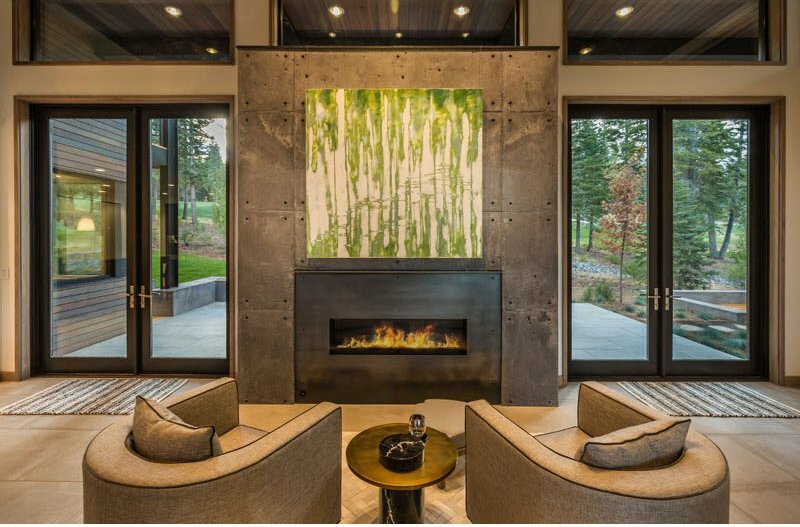 This is the fireplace with a concrete finish and a lovely artwork. Featured here is the dining area wherein you can find a long wooden dining table with dark gray dining chairs around it. 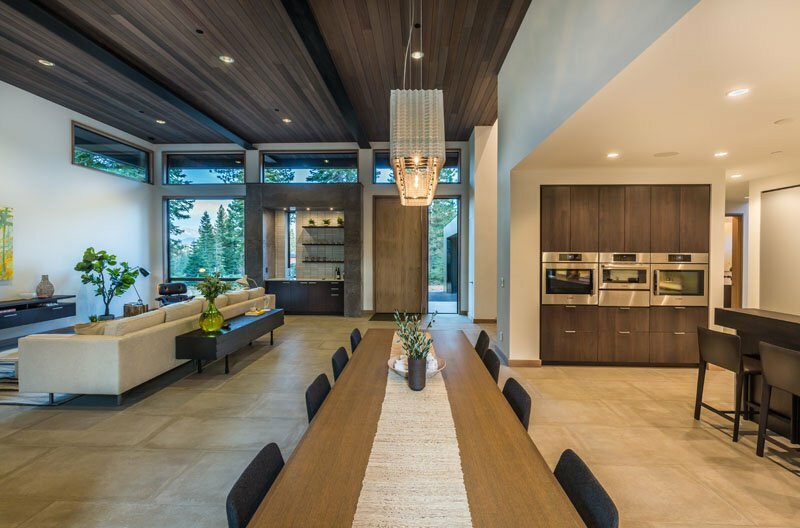 Above the table is a rectangular lighting. 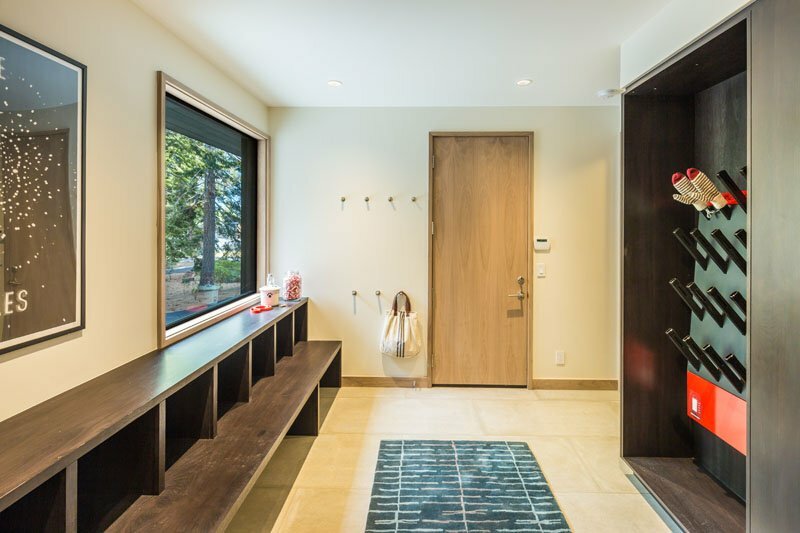 This is the mudroom of the house complete with wall hooks and a long low cabinet that also works as a bench. Aside from the spacious living area, there is another space in the house where the family can spend time together and that is the entertainment area. Yes, the family can definitely unwind here. The house also features a working area. As you can see, a huge picture window is installed in it which gives a good look to the lovely trees around it. This is the master’s bedroom. With the use of wooden flooring, the space looks extra warm. And I also like it that it has minimal furniture in it. 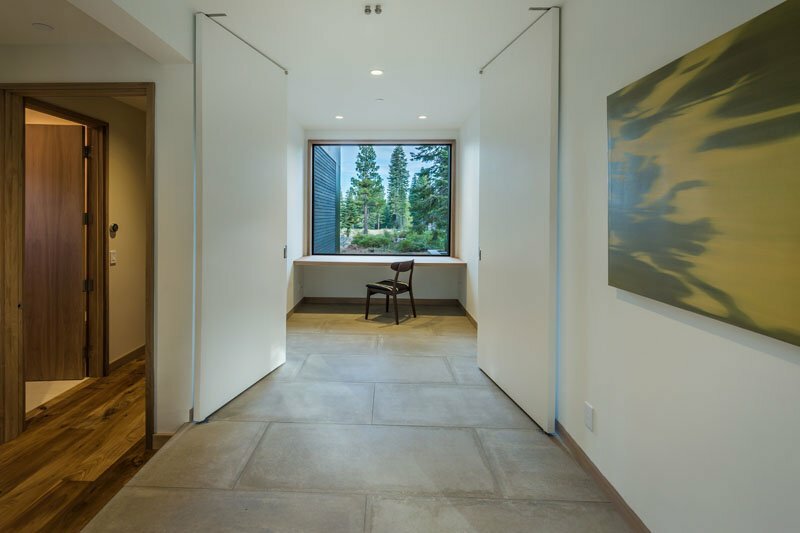 It also has direct access to a terrace through a glass sliding door. 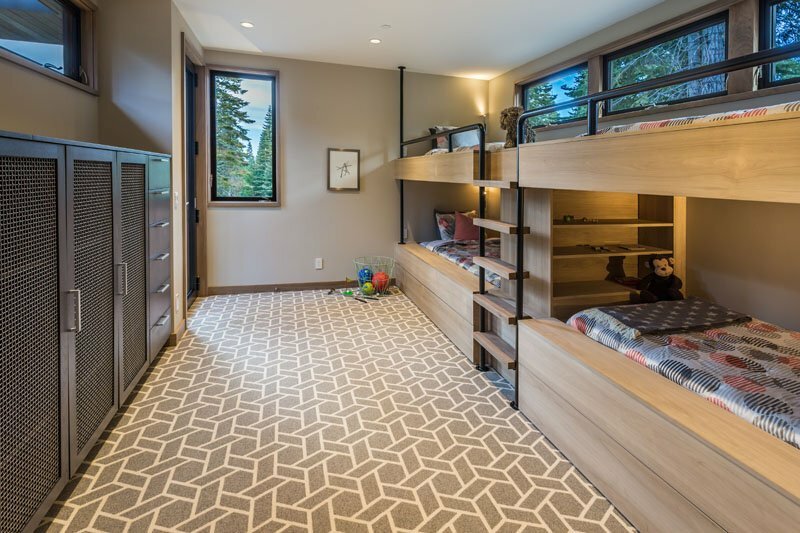 For the children, there are double-deckers in this bedroom which can accommodate a total of four kids. I like how this is designed. A toilet in the house that used white ceramic tiles for the walls. You can also see that it used black for other elements like the faucet. 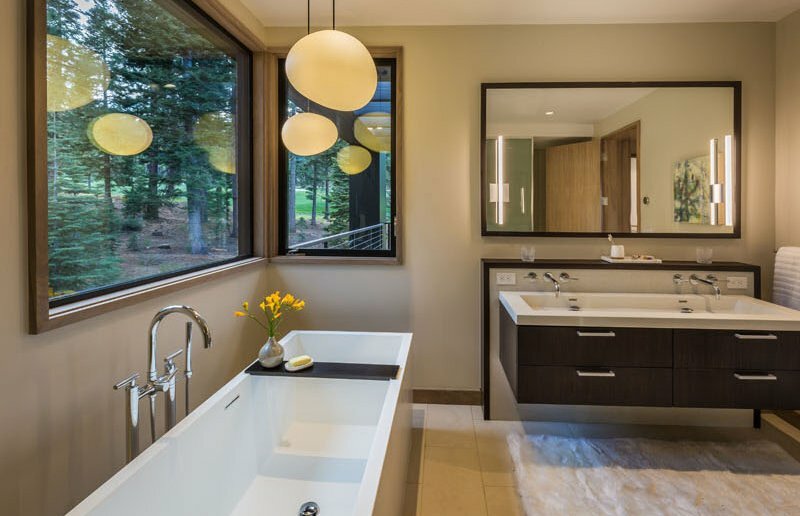 This spacious bathroom features a rectangular bath tub. It is placed just near the window so that one could look outside while taking a bath. Above it is a pair of lovely orb lighting. Aside from the dining room inside the house, there is also one outdoors. The family can spend time here together. What added drama to the space is the lighting above it. The owners can also bask in the sun while in this terrace. It would be very relaxing to have some breakfast here. And I love the idea of using yellow furniture for the space which brings a lighter touch to it despite the black colors all around it. 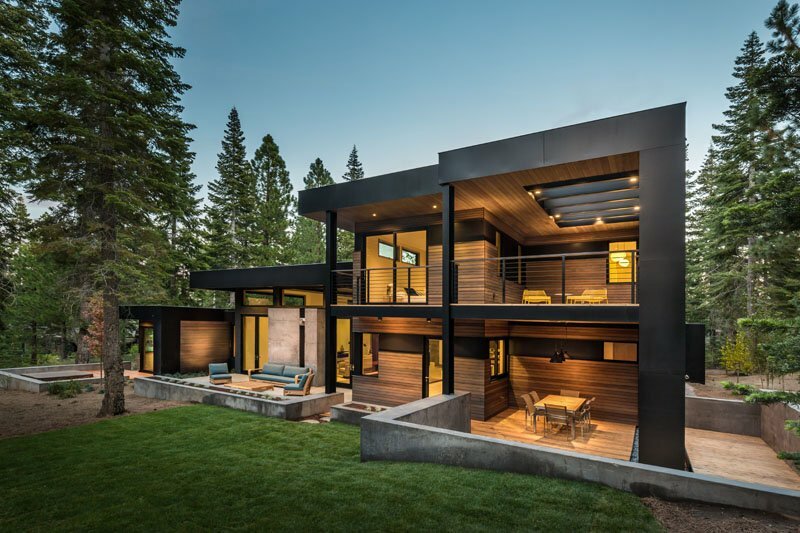 Isn’t this a lovely modern home in the middle of the forest? It sure is! Who would think that despite this think trees in the area, there is actually a stunning home that sits somewhere in it? 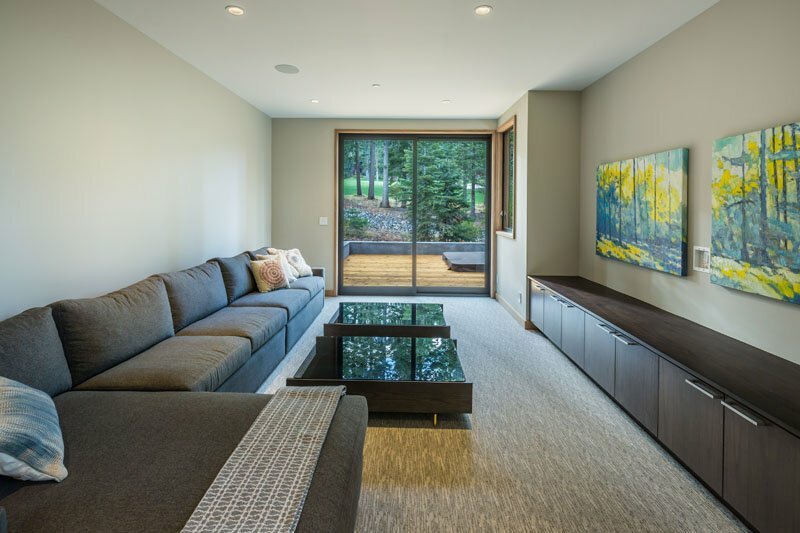 This home is a project of Sage Modern who already worked with so many other beautiful homes. No wonder this one looks really gorgeous! It appears that the design company won’t deliver anything less!